Trademark Name Infringement – Jackson & Lowe – Law Group, P.C. Recently, I had a client who had been sent a cease and desist letter, contact me and ask if she needed to change the name of her business. She thought that because her name was registered with the Secretary of State’s office in the state in which her business was located that she could not be forced to change the name of her business even though her business name was substantially similar to one used by another company. Unfortunately, in my client’s case, I had to inform that “yes” the other company may have the right to demand that you change your company’s name. It is important to understand that registration of your business name with your state’s Secretary of State does not shield or prevent your company from liability for operating under a name that infringes someone else’s already-existing trade name or trademark rights. Coming up with a name and unique logo for your business can be quite difficult. A lot of businesses exist in the world today and chances are that the name or logo you pick would be similar to that of another business. In such a situation, you could have a problem with trademark name infringement. Generally, there are “common-law” trademark rights that protect the use of a business name or logo that a business uses within a certain geographic area. . If you are allowed to use the same name or logo as that business, consumers may become confused as to which goods and/or services they are purchasing. Therefore, it is better if trademarks are registered with the United States Patent and Trademark Office (USPTO). When a person registers a trademark, it puts other companies on notice of the mark you have chosen as a trademark for your business. . Your trademark is one of the most important assets that your business will have. It is very important that you prepare carefully before you settle on one. If your trademark is similar to or the same as that of another business, you may be liable for trademark name infringement. Trademark name infringement arises where there is an alleged use of a trademark that belongs to another business. It is an unauthorized use of a trademark that is used by another business or product especially where such use can lead to confusion. Prior use of the original trademark. How long have they been using the trademark? How long have you been using yours? The use of the trademark by the infringing person. The similarity between the goods and services connected with the original mark and the infringing one. The geographic extent of the goods and services offered under the competing trademarks. 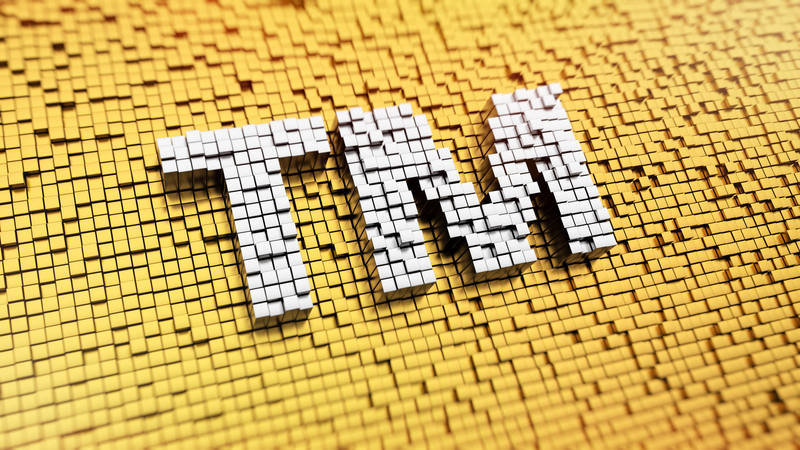 What can a trademark name infringement lawsuit cost you? Infringement cases are usually expensive. They could cost you a lot if the court finds that you have infringed on another trademark. The cases can also last for many years. This is why it is absolutely necessary for you to cover you bases before settling on a trademark. You may also have to change your trademark and the name of your business. . How can you avoid trademark name infringement? You need to conduct diligent search on the trademark you have decided to use for your business. This search should not be limited to only registered trademarks but also to trademarks that are in use in the country, state, county, city or region where you do business. Do not use trademarks that are materially similar or the same as that used by other products or companies. If the trademark you have chosen seems similar to an existing one, you may need to talk to a lawyer for advice on whether to change it. Once you are satisfied that your trademark does not offend any other, you need to get it registered.